Airtel Internet TV’s UI that brings together a set-top-box and an Android box seamlessly, allowing the freedom to run any app you want, be it content or games. How to make a dumb television smart has been a question gripping the tech world for sometime. Now it seems the solution can also be found in a set-top-box. 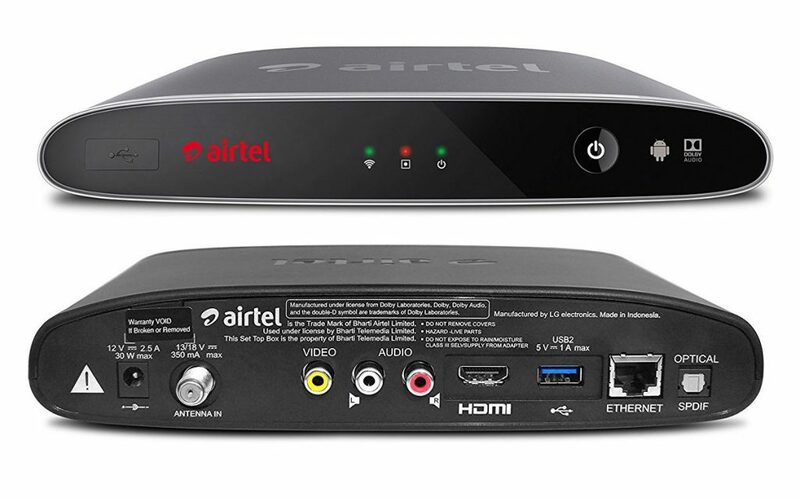 Airtel has just launched its Internet TV box in India and it’s a new concept that merges two old concepts — the set-top-box and an Android box. The Airtel Internet TV box looks like a regular STB, maybe a bit larger than my Tata Sky Box. It has the card jutting out of the box from the side, which is a bit of an eyesore. The best thing about the box is the remote, which gives you the freedom to get rid of the TV remote and just use this for all your TV needs. The Internet TV, as I mentioned before, is a mix of two things. But the good thing Airtel has done is to create a UI that brings the two together seamlessly. The dashboard is brought to life by the Airtel button on the remote, which acts a bit like the Home button. The UI has tabs for Home, games, apps, Netflix, Aritel Movies and even an Android Home where you can add new apps to the box. The box offers a very visual programme guide which is segregated channels and the option of reminding you about the programme or even recording it, if you add a storage option to the box. This is something very unique to this box and could end up being its USP. Plus it tells you the titles that are playing at the moment as a curated stream which is a great way to discover content. However, like most smart TV users, you will be weaned away from live TV thanks to apps like YouTube and Netflix. Also, Airtel is offering its own Airtel Movies app where it is curating titles from Eros and SonyLIV. However, I found this app a bit buggy. The box offers users full access to Android apps. I own an LG smart TV and the one grouse I have with it is that there is no option to add the apps that I want, just the curated apps that LG pushes once in a while. The Airtel Internet TV comes with no such issues and you can run any app you want, be it content or games. The remote is really smart. It offers voice search and dedicated buttons for a lot of features you need at your fingertips. For instance, I am happy that there is a keyboard button on the remote and even a Live button to go back to live television from maybe an Internet streaming app you have been watching. Also, the trackpad like large button in the middle makes navigation real easy. There are not many issues with the Airtel Internet TV; however, I did have to re-sync the Bluetooth remote with the box more than once and this takes a few minutes every time. I am not sure what is causing the box to stop recognising the remote. Also, Airtel could have offered reasonable storage for content internally. Before I answer that question, I have to be clear that you fall in the target audience. This is for those who have a relatively new TV, but one without smart features. If you own a smart TV, then this does not make much sense to you as investment. However, if you fall into the first category, then this is a good way to enter the world of smart televisions, which gives you way more control and choice on what you watch.